Brand New Stalls for April’s Market! Copper & Solder is a very chic and glamorous business that create unique home and lifestyle products for modern, casual living spaces with an industrial, minimal feel. You can see from their fantastic website that these guys have some serious style! What can we say about the lovely, next-door neighbour to the Baths that you don’t already know? Many of you might have seen some fantastic Save Stirchley Library posters around the area recently, well that is because Stirchley Library services have recently been under threat of being relocated by the council – following a consultation, the services have been secured in the current building for the next 12 months, but the future is uncertain. 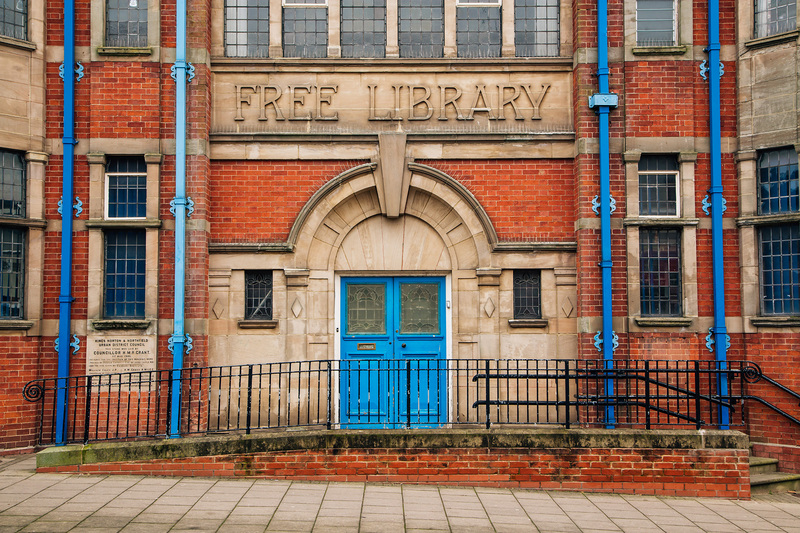 So, some local people have banded together to create Friends of Stirchley Library. The Friends will be at the Baths this April to fill you in on all that has been happening and let visitors know all the ways that you can help them help the Library. Please do come and say hello to them and let them know if you are able to help out in any way. Frilly Industries create some absolutely divine laser cut wood accessories. They have an incredible range of products, from Ryan Gosling broaches to geometric bear collar clips. With their great prices and originality we are sure you will find something you’d love! 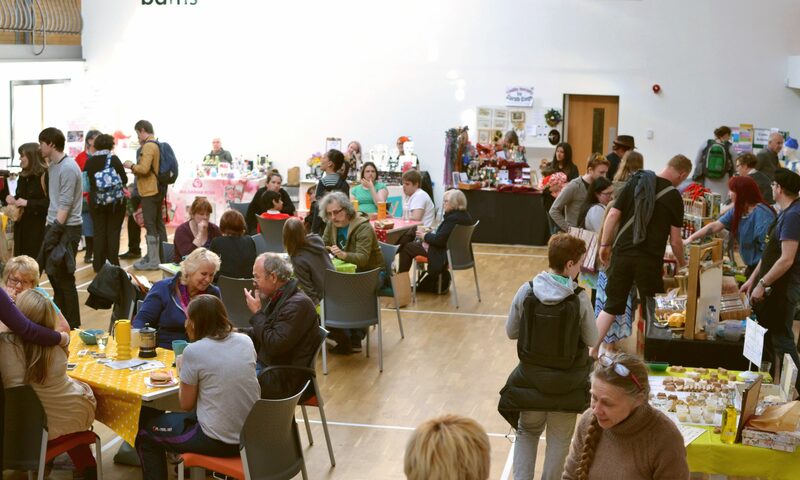 Stirchley Community Market is thrilled to be hosting The Middle Feast! They are an amazing food stall and create all sorts of Middle Eastern inspired kebabs and mezzé, made totally fresh by passionate lovers of all things flavour. This is not one to miss! Just check out their menu in the about section of their website. That right! Doughnuts are coming to Stirchley Community Market, and not just any doughnuts, fresh home made treats from the new kids on the block Jam vs Custard. When we say Jam vs Custard are new, we aren’t kidding. 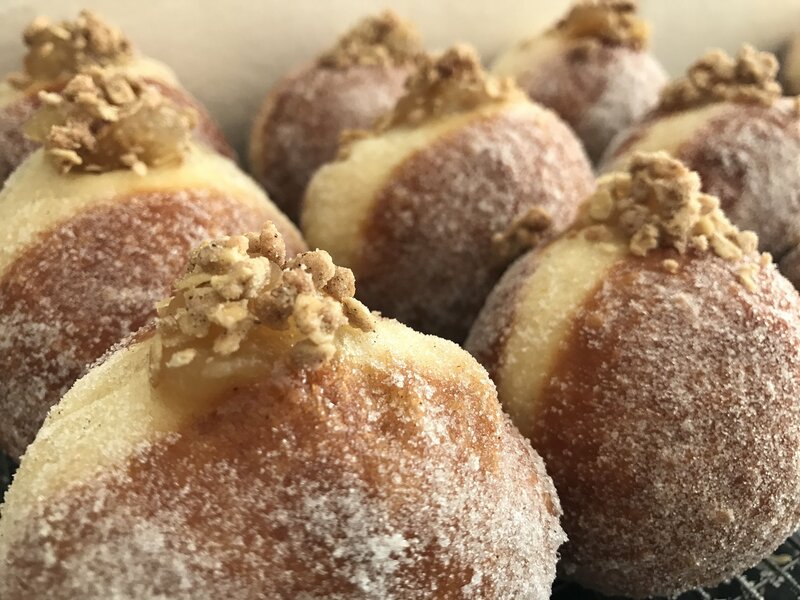 These guys are brand new and are launching their business at our market, so make sure you get down their to show your support by eating loads of doughnuts. Can’t go wrong really! We hope to see you all on Tuesday 4th April, 4-8pm at Stirchley Baths.